I went to Kansas City this past week and my trip was not complete without a stop at Trader Joe's! My grandma introduced me to this amazing "chip and dip" combo. I am obsessed. The only problem is that Trader Joe's has not opened yet here in Texas. 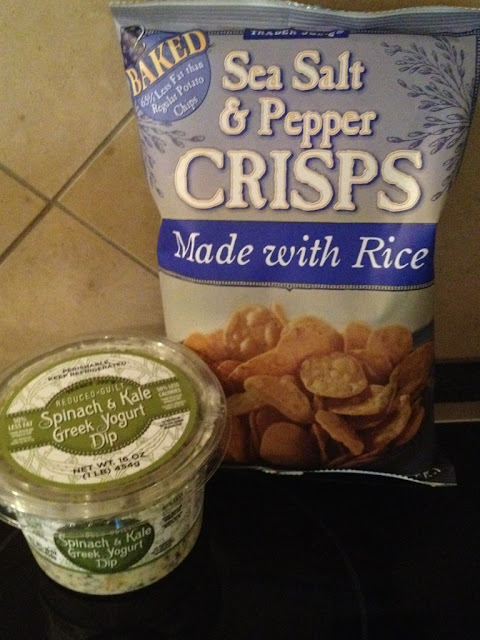 I am seriously considering contacting Trader Joe's to send me a box of these sea salt and pepper crisps. They are low calorie, 38 crisps for 120 calories, and low fat. I do not know how to describe this dip other than it is amazing and it reminds me of spinach artichoke dip. Anyone that has a Trader Joe's in their city better run and get this (if you have not already discovered this)!! !